Prior to taking to the air with passengers, you should always provide them with a briefing of key safety items and what to expect during the entire flight, from engine start to shut-down. While this can be done very concisely once in the plane, the equally important part is to brief them well ahead of time about that insidious risk of flying and contributing factor to the alarming majority of flying accidents: external pressures. A basic definition of an external pressure is anything putting pressure on you to begin or continue a flight when you have a gut feeling you should cancel or discontinue it. Common external pressures range from a simple promise to take someone flying to a planned flight to a business meeting or family gettogether. One of the most prevalent of all external pressures is known as “get there-itis”. This is the desire to always end a flight at your planned destination or home. This strong desire to “get home” can cause us to consciously or subconsciously ignore valuable cues. These cues should alert us to cancel a flight or seek alternate ground or airline transportation if we haven’t departed yet, or divert to another airport if we have. Pilots have to look out for “get home-itis” in ourselves but also in our passengers. As soon as a friend or loved one decides to take to the skies with you and become your passenger, you owe it to them, yourself and people on the ground to brief them about external pressures, including get home-itis. This briefing should not be provided for the first time while you’re sitting in the airplane, ready to perform your “Before Starting Engine Checklist”. It should occur as soon as someone decides they wish to fly with you. This way, it becomes part of the culture and fabric of safe flying. There are no expectations, no illusions that you can operate in similar fashion to an airline pilot in an almost-all-weather machine. This is general aviation flying. We can’t always keep going to our destination and sometimes it’s simply better to make an early no-go decision…and just drive to where we’re going! Be safe, have fun and keep learning! I started flying because it was on my “To Do” list, just like it was for many of you. 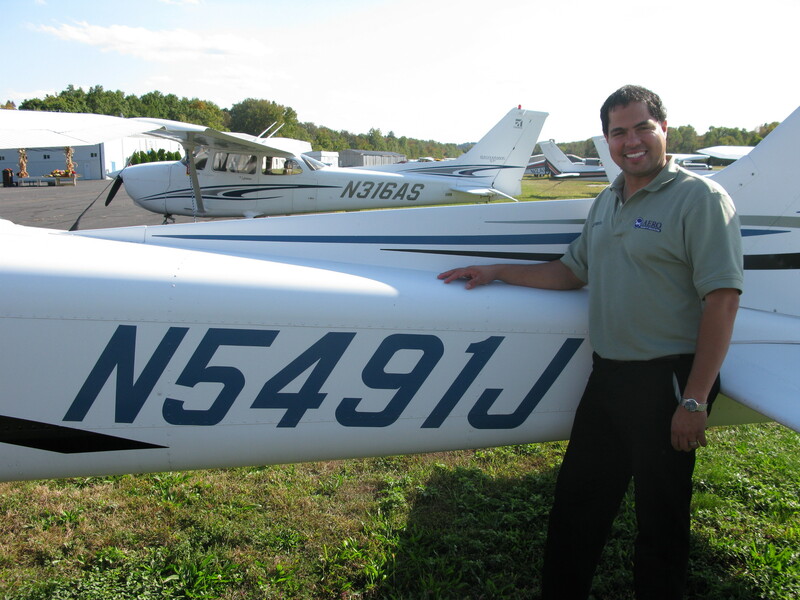 As your instructor and fellow Pilot, I want to help change your life through aviation. Whether it’s your first flight or we are crossing paths for your flight review, my goal is to challenge your skills with scenarios that will prepare you for the unexpected while enhancing your piloting skills. I enjoy teaching and want to thank you for following your dreams and becoming a Pilot In Command. You’ve dutifully calculated your weight & balance for your flight. Weight and CG are within limits. You’ve completed a conservative performance estimate for all runways at all airports to be utilized. All are within limits for your aircraft and within your personal minimums. On paper, the planned flight will work. As you’re rolling down the runway, though, how do you know you’re actually getting the performance needed for takeoff in the distance available? Once the throttle is full, take a quick glance at the engine instruments. Just a quick glance is all you need to know if everything is in the green and where in the green everything is. Primarily, check RPM, oil pressure, oil temperature and fuel flow. If you see anything out of the ordinary for the given conditions, immediately reject the takeoff by maintaining directional control, reducing throttle to idle and braking while smoothly adding back pressure and retracting the flaps. The key is knowing what ‘ordinary’ looks and feels like and being able to determine out of the ordinary with a simple, quick, non-distracting glance. If you have not attained 70% of your lift-off speed by the time you have reached the 50% mark of the runway, reject the takeoff. This works because most airplanes stop much better than they accelerate. In our Cessna 172S, we lift off somewhere around 55 knots. Seventy percent of this is 38.5 knots. Keep it simple and conservative and call it 40 knots. If you haven’t reached 40 knots by halfway down the runway, reject the takeoff. This rule of thumb will not guarantee a climb rate sufficient to clear the trees or other obstacles on the far end. Plan ahead and be conservative. Know your machine, the environment and your limitations. Of course, never feel forced to make or continue any flight because of pressure stemming from passengers or for any other reason. “But it’s bluebird / CAVU / calm / beautiful out…” This is a common reason pilots don’t call for a weather briefing. Remember, you can’t see TFRs simply by looking outside! “But I just got a briefing on ForeFlight / DUAT / DUATS…” ForeFlight, DUAT and DUATS all serve as ‘official’ weather briefings, putting the pilot in the system and essentially giving them ‘credit’ for obtaining a briefing. However, it is very easy to overlook TFRs and Notices to Airmen (NOTAMs) due to the sheer amount of data presented. While it has gotten easier as data is organized and presented more logically, it is still very easy to overlook important information pertaining to your flight. The simple solution is to call 1-800-WX-BRIEF prior to every flight. The call itself is fairly straightforward. However, you should be prepared prior to dialing. When you call, the weather briefer will want to know some key information. You should provide it in the prescribed order, which is what the briefer will expect. For more on how to obtain your preflight weather briefing, please enjoy ‘Preflight Weather Briefings Made Simple’ for free. A tip is to get your weather briefing online, using ForeFlight, DUAT, or DUATS. Then, call 1-800-WX-BRIEF and request an ‘abbreviated’ briefing. With an abbreviated briefing, you still provide the same key information, but instead of getting a ‘soup to nuts’ briefing, you tell the briefer specifically what information you wish to receive. This should always include adverse conditions (including TFRs) and NOTAMs. Lockheed Martin, the authorized FAA Flight Service provider, offers helpful tools and customization. You can set up a profile for your weather briefings, have texts sent if conditions change outside of the parameters of your briefing, or even have a text sent if you file and forget to close your flight plan! Calling for a weather briefing only adds a few minutes to your flight planning. However, it can clarify the weather picture if you’ve already gotten your briefing online, provide NOTAMs in an organized flow and prevent you from violating a TFR. Be safe, have fun & keep learning! You’re planning a fun flight to New Hampshire and are getting ready to preflight. For it to be airworthy, what documents need to be on board the aircraft? What inspections are needed for the aircraft to be airworthy? – Airworthiness Directives (ADs): Required for all flight operations, as specified in the specific AD. – VOR: Required for Instrument Flight Rules (IFR) operations only, every 30 days. – Inspections: Annual: Required for all flight operations, every 12 calendar months. 100 Hour: Required for aircraft operated for hire or flight instruction, every 100 engine hours. – Altimeter and Automatic Pressure Altitude Reporting: Required for IFR operations, every 24 calendar months. – Transponder: Required for all flight operations, every 24 calendar months. – ELT: Required for all flight operations (except flight training within a 50-nautical mile radius of originating airport), every 12 calendar months with additional inspections due for the ELT battery. – Static System: Required for IFR operations only, every 24 calendar months. Once you’re certain your current documents are on board and your inspections were complied with, conduct your preflight. If all required equipment is operational, the aircraft is airworthy. Is it safe? This is where doing a thorough preflight and using your Pilot-In-Command (PIC) decision making come into play. Be thorough and don’t assume anything – especially in terms of fuel and oil quantity and quality! Never allow yourself to feel rushed by your passengers, your schedule, or any external pressures. If you do feel rushed, it’s time to take a step back and reconsider if it’s smart to make this flight. Only by knowing both what is required for the aircraft and what to look for during a thorough preflight can you, as PIC, determine the aircraft is both safe and airworthy. Regardless of whether you’re a student, private, instrument-rated, or simulator pilot, or if you’re an aviation enthusiast, always look to increase your knowledge, experience and skills. What are your goals this summer? 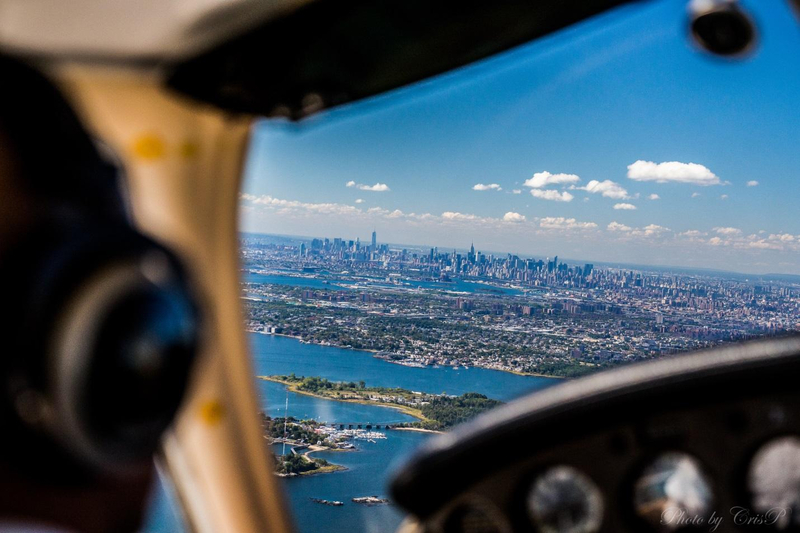 They may be to finish your private certificate, visit a new airport, fly the Hudson River, gain proficiency in Redbird, earn your tailwheel endorsement or instrument rating, improve your skills with crosswind, or to introduce someone to flying. Whatever those goals, make sure to write them down and come up with a plan! Once you have your goals in writing, share them with family, friends and flight instructors. They can help support, encourage and, in the case of instructors, guide you. Whether or not it’s specifically required, it’s always a good idea to go up with an instructor. An instructor can help you achieve your goals more safely and more quickly. All goals that will result in your personal minimums increasing should only be accomplished with an instructor. The goals themselves should be ‘SMART’: Specific, Measurable, Attainable, Realistic and Timely. This common acronym from the world of project management applies very well to your aviation goals and will help set you up for success to achieve them. Ask yourself what you want to accomplish, why you want to accomplish it, what is preventing you from accomplishing it, where you will accomplish your goal and who is involved. Ask how you will measure the attainment of your goal. How will you know when you’ve succeeded? Is the goal reasonable in the time frame you’ve specified? What are the steps you will take to accomplish your goal? Is your goal something you are willing and able to work toward? By when are you going to accomplish your goal? Is this reasonable based on your plan? Write down your goals and come up with a plan of action. The answers to these will guide your risk mitigation and aeronautical decision making. What are your aviation goals for this summer?! What steps are you taking to achieve those goals? Share your goals on Facebook, Instagram and Twitter! 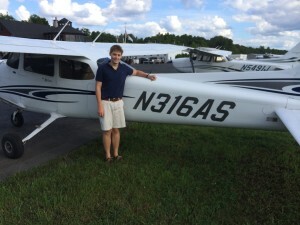 CHRISTIAN DIETZ – PRIVATE PILOT!!! CONGRATULATIONS!!! Congratulations on earning your Private Pilot certificate today! Very nicely done! Enjoy flying up in Maine this summer! Of course, fly down to N07 for a visit! You and your families and friends are invited to join us for our free Su nday Morning Social on Sunday, 27 July, 10:30am – 12:00pm. You do NOT have to be a pilot or student pilot to attend. You will have the opportunity to meet and share stories with other student pilots, pilots, flight instructors and the Aero Safety Team! We would be happy to answer any questions you have about flight training or flying. 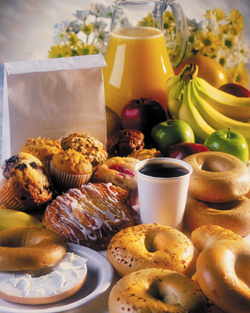 Enjoy continental breakfast and aviation camaraderie. Hangar flying at its finest! Reminder – CarolAnn Garratt will be speaking at Caldwell tonight! 5:30pm “Gourmet” dinner (hot dogs & burgers), 7:00pm presentation. CarolAnn has flown her single-engine Mooney around the world three times, raising both awareness of and over $400,000 for ALS (Lou Gehrig’s Disease) research as a tribute to her mother. CarolAnn is very inspiring and her presentations are fun and informative. Free, but please purchase each of her books at the event. All proceeds go towards ALS research. Not required, but please register here: http://goo.gl/LLzT22 . Thank you to the 99s, C&W and Paramus Flying Club for hosting!